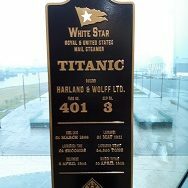 FAUK’s visit to Belfast proves a Titanic hit with Members! With a full programme of both work and pleasure, FAUK’s latest quarterly meeting in December to Belfast proved a popular tour. Film Archives UK is a Limited Company (No. 07760578), with charity objects.